The 9085 collection features a contemporary styling with extra padding for comfort and covered in a polypropylene fabric. 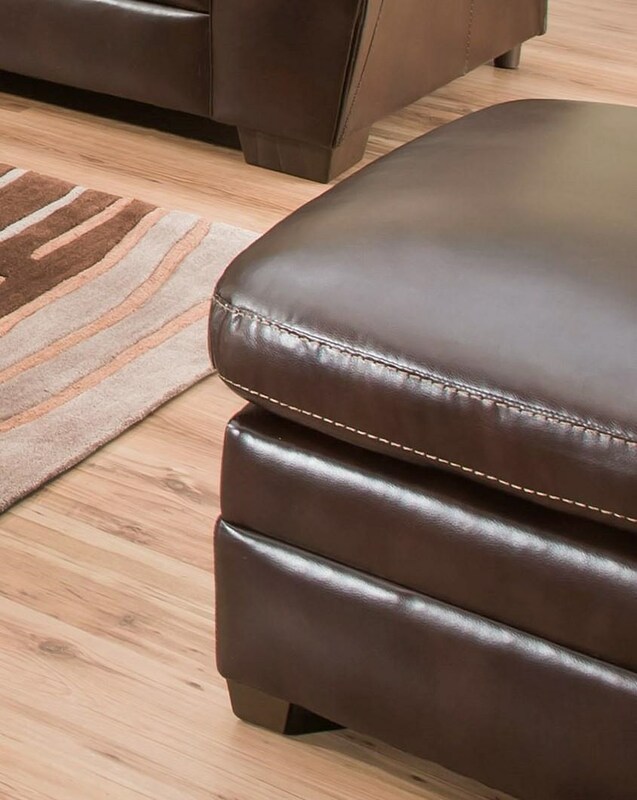 The 9085 Ottoman by United Furniture Industries at Furniture Fair - North Carolina in the Jacksonville, Greenville, Goldsboro, New Bern, Rocky Mount, Wilmington NC area. Product availability may vary. Contact us for the most current availability on this product. Create a casual and comfortable retreat in your home when you bring this collection into your home. This living room collection features generous padding on the arms, seat and back cushions of each piece that will hug your body as you relax. Offering all of your standard living room seating pieces as well as sectional options, this collection has all of the ingredients you need to create the best living space for you. The 9085 collection is a great option if you are looking for Contemporary furniture in the Jacksonville, Greenville, Goldsboro, New Bern, Rocky Mount, Wilmington NC area. Browse other items in the 9085 collection from Furniture Fair - North Carolina in the Jacksonville, Greenville, Goldsboro, New Bern, Rocky Mount, Wilmington NC area.